Being billed as the premier race helmet from HJC Helmets, the brand new for Fall 2010 HJC RPS-10 Helmet has us very impressed. 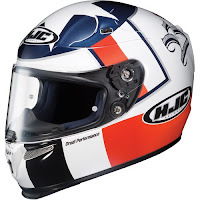 HJC teamed up with MotoGP rider Ben Spies for a 2.5-year development period in which they fine tuned this helmet, creating a top-end race-level helmet at a very modest price point. Ben Spies is now wearing this helmet when racing MotoGP and it is crystal-clear that this helmet is worlds ahead of their old race helmet, the FS-15. Any time a helmet is being worn by a MotoGP rider, it is a huge endorsement. But when a race-level lid is developed in conjunction with a rider, it's entirely next-level. 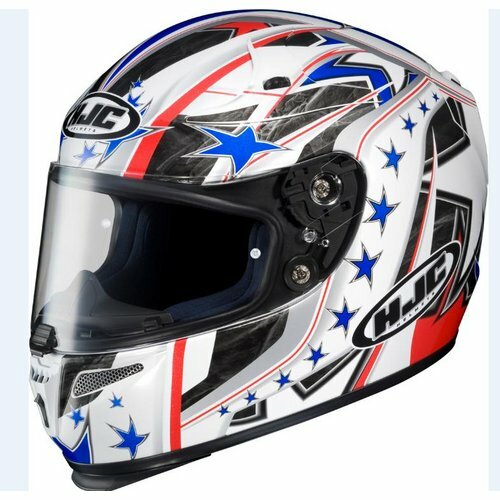 Starting at $314.99 for the six solid colors available (including hi-vis yellow) and going up to $499.99 for the HJC RPS-10 Ben Spies Replica Helmet, this is a moderately priced helmet for the advanced technological features it offers. 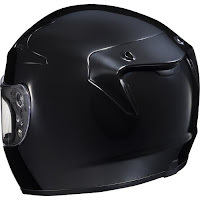 Check out its competitors by visiting our Snell 2010 Helmets page and our Sportbike Helmets page.